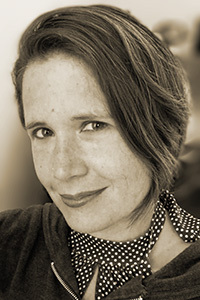 Alexandra Teague is the author of the novel The Principles Behind Flotation (Skyhorse Publishing, 2017), and two books of poetry—The Wise and Foolish Builders (Persea, 2015) and Mortal Geography (Persea, 2010), winner of the 2009 Lexi Rudnitsky Prize and the 2010 California Book Award for Poetry. She is the recipient of a Stegner Fellowship, a National Endowment for the Arts Fellowship, and the 2014 Missouri Review Jeffrey E. Smith Editors’ Prize. Teague is an associate professor of poetry at University of Idaho and an editor for Broadsided Press.